Activist Insight is pleased to reveal its inaugural quarterly stats pull-out, featuring a greater array of data on activism around the world. 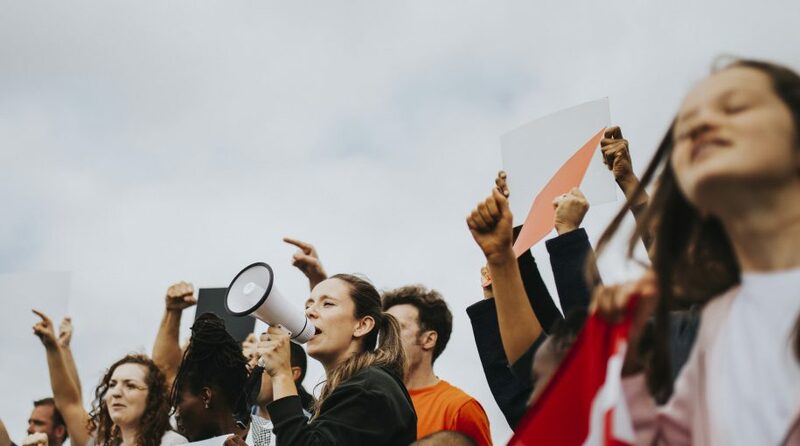 Activism appears to be off to a slower start in 2019 than in previous years, according to data from Activist Insight Online. 295 companies worldwide were publicly subjected to activist demands in the first quarter, the lowest since 2015. The data are broken out by region, with separate sections for the U.S., Europe, Canada, Asia, and Australia. Highlights are noted on the top right of each slide. Tables are interactive on desktop, showing both proportional and absolute data. 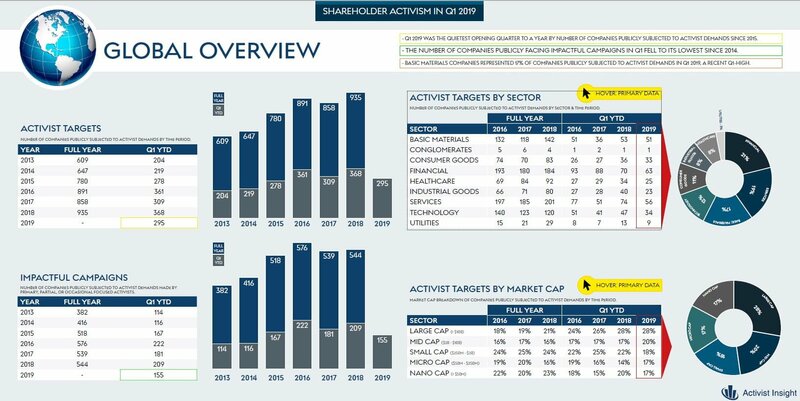 If you have any questions or would like to see additional data added to this quarterly update, please contact Josh Black at jblack@activistinsight.com.